My Experience With Cooking: Ghee Roasted Plantains!~And an award! You are here: Home > Snacks > Ghee Roasted Plantains!~And an award! Ghee Roasted Plantains!~And an award! Caramelized ghee roasted plantains...doesn't this sound heavenly? For me this sure does. Because this has been one of my favourite snacks right from my childhood days. My mom used to treat me with this often during my school days and how I loved munching into those syrupy roasted ripe plantains with golden thick caramelized topping! This is quite an easy and delicious snack and can be prepared by anyone in a short period of time. Especially this is useful during those times when we have unexpected guests and run short of enough items/time to cook up any snack. A different type of plantain is used in this preparation. In our language we call it Nenthra pazham or Ethakkai. Well for the moment lets call it Plantain in simple terms. Its the type of plantain which is used for cooking when its raw and ripe. To make things more clear I have included the picture of how the plantain looks when its raw and ripe. Ghee is used for roasting the plantains. It imparts a special flavour to the roasted bananas.You may also use honey as a sweetener. But I prefer doing the traditional way. Cut each plantain into halves and cut each piece into thin slices. Heat a pan over low-medium heat and grease it with sufficient ghee. Sprinkle sugar on one side of the slice and keep it face down on the pan.Roast till that side turns golden brown.You may roast many slices at a time depending on the width of your pan. Now sprinkle sugar on the top of the slices and flip it over. Roast till this side turns golden brown. According to the rules of the award I need to pass it on to 10 bloggers. A very tough decision indeed. I love all the blogs I follow. 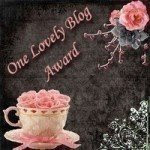 But yet this time I have nominated the following bloggers for this award. More nominations to follow in the upcoming months! And congratulations on the award dear! Wow lovely plantains.Never heard of this recipe.Congrats on winning the award.and also passing the award to me also pooja. Aww, thanks for the award Pooja. Very sweet of you. Sounds like a wonderful treat. I only bought plantains once and that was before I knew what they were. I thought they were soft like bananas :) I should pick some up again. Thanks Lisa :) Yes plantains are different and are somewhat harder in texture compared to bananas. Thanks Pavithra :) Do give a try! I love plantains. There's so many things you can do with them. I usually like mine caramelized. In India I only went for typical salted banana chips but after coming here, I tried sweet banana and loved it...I can imagine the wonderful taste of "Ghee Roasted Plantains". And congratulations for the award dear. This Sounds surely Heavenly! I never tried anything other than poriyal and kootu with plantain.. This is a new recipe for me :) Thanks Pooja. Congratz on the award..Thanks a lot for passing this award to me..I feel so happy.. The plaintain Fry looks absolutely delicious..
tht's a lovely plantain and congrats on your award Pooja!!! Something new, never heard abt this recipe. this is the famous nendran banana right.....n the caramelized fry is just perfect.....my hubby is gonna love this.....does it taste good with regular banana? thx alot pooja for the award...it really means a lot to me......I have been trying to come into ur blog for quite few days and its showing error...Its just error in my browser and I cant sort it out!! !Its showing error wen i try to browse other blogs as well. Believe me, I love this stufff...I got soem plantains yday cos I had craving for this one!! !waiting it to get a bit more ripened to my taste...After seeing ur pics, drooling...cant even wait....i think i will make em now..even though its lunch time...who cares..hehe..
Wow ...Rosted plantains looks great . I never had this . I like banana fry very much . i love the nethram pazham.. i make home made chips often ! Congrats on your award ! My all time fav too.Nice click! And congrats on ur award! Thanks Jenn :) Me too! Caramelizing gives wonderful taste! Thanks Preethi :) Yes you are right! Both salted n sweet taste great! Thanks Priya & welcome :) You deserve it! Thanks Prathibha :) Oops I havent tried thai fried bananas yet! Will do it soon! Thanks Priti :) Yes it does Priti..do give a try! Andhra Flavours, thanks for dropping by :) Do give a try! Thanks a lot Lena :) We all love this a lot hehe..dont we?! Hey thanks for mentioning abt the pic too! Thanks Priya! You are most welcome dear! Thanks Parita & welcome! Oh thanks for mentioning that..wow that is a gr8 idea! Thanks a lot Sangeeta :) Frankly I havent tried with regular banana because its soft n sweet compared to plantain. If you dont get to buy plantain then give a try with banana! Would love to hear ur verdict! Thanks Shabs :) Oh I wonder what the problem could be! Btw which browser are you using? I use Google Chrome and I love it ever since I started using it. Hehe I too love to have any time Shabs! Thanks Pooja :) That is another of my favourites with plantain! Great preparation for plantains! can't wait to try it! Thanks Mangala :) Yes its a gr8 option dear! I never thought of it! Thanks DB :) Hehe you said it right! I prefer having it this way! This is a kerala dish, right? I have had this somewhere before... and liked it a lot. I have two plantains taking rest in the refrigerator, I am definitely going to try this recipe and let you know the outcome. This way I can make the kids eat plantain!! Thanks for the yummy recipe Pooja! looks so mouth-watering. Thanks Uma :) Yes this is a nice way to make kids have plantain! My mom used the same idea when I was a kid! Thanks Sweta :) Yes the ghee gives a whole lot of flavour! Thanks Maria :) Hehe I was also crazy abt this during my school days! Thanks pooja for passing me this award. U r tooo sweet.